All kids are gifted – and those gifts are vital to our community’s health. Matthew 25 empowers youth through positive relationships, hands-on education, and artistic exploration. See how Matthew 25 partners with local schools to empower and teach children. Learn about our Book Buddies and school garden programs. 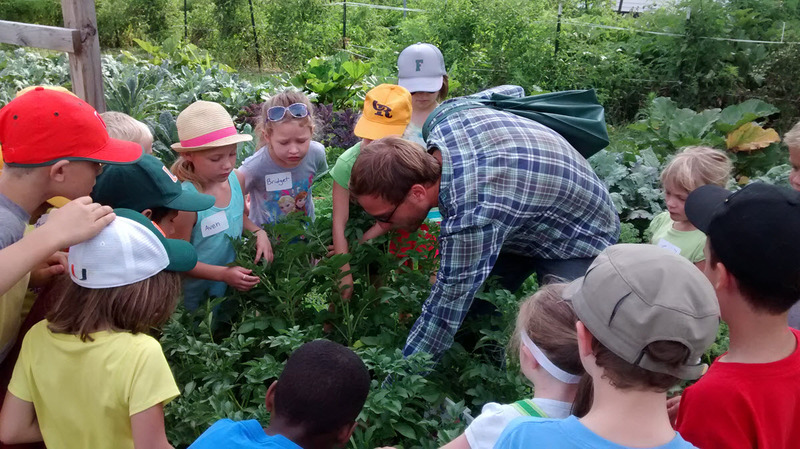 Visit Iowa’s first urban farm to learn about agriculture and environmental stewardship, enjoy hands-on exploration, taste farm-fresh produce, and more. Groundswell is Matthew 25’s community gathering space and youth arts venue. It offers a home for the arts that includes open mic nights, concerts, educational programming, and art shows.